Eight-time Grammy-nominated rock band Florence and the Machine and Final Fantasy XV publisher Square Enix have released Songs from Final Fantasy XV, a three-song EP for the highly anticipated JRPG. Included in Songs from Final Fantasy XV is Florence and the Machine’s cover of Ben E. King’s “Stand By Me,” which debuted at the Uncovered: Final Fantasy XV event back in March. Finally, Florence and the Machine’s “Too Much Is Never Enough” is a new song that was recorded at Air Studios in London, England, and produced and composed by Emile Haynie, who has previously worked with acclaimed artists like Kanye West and Lana Del Rey. “Too Much Is Never Enough,” which is the longest track on Songs from Final Fantasy XV, premiered earlier today on BBC Radio 1 Breakfast Show’s New Music Friday segment. “I’ve always seen Final Fantasy as a beautiful and creative game, so I don’t think I could have worked with another video game,” lead singer Florence Welch said. Songs from Final Fantasy XV is now available for download from the iTunes Store. Each individual track is priced at $1.29 (£0.99), though all three songs can be purchased for $2.99 (£2.49). 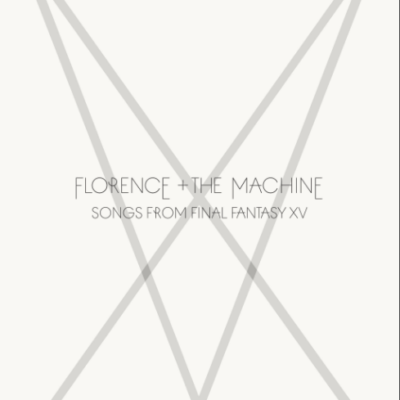 Final Fantasy XV’s director, Hajime Tabata, commented on Songs from Final Fantasy XV’s release, praising Florence and the Machine for their rendition of “Stand By Me” and also creating two original songs for the long-awaited JRPG title. “Music has always been a hugely important and much-beloved part of the Final Fantasy series, and with these three tracks we really wanted to create a musical experience to live within the game, and that will transport listeners, whether new to the series or not, into the epic Final Fantasy XV universe,” he added. Final Fantasy XV, initially unveiled as Final Fantasy Versus XIII, has its development stretch back a full decade ago. Along with the main release of Final Fantasy XV this year, Square Enix revealed at E3 2016 that Final Fantasy XV: VR Experience, a spin-off title, would be coming to PlayStation VR. Final Fantasy XV will launch worldwide on September 30 for PlayStation 4 and Xbox One.